"The caller provided information about Cruz’s gun ownership, desire to kill people, erratic behavior, and disturbing social media posts, as well as the potential of him conducting a school shooting"
The agency revealed that a January threat that had been reported was never transferred to the Miami field office, part of a protocol officials said wasn't followed. The massacre at a Florida high school is again raising concerns about whether the FBI missed signs that might have stopped a mass shooting, amid an admission that the agency received a tip about the alleged shooter that wasn't properly investigated. Just last month, a person close to accused gunman Nikolas Cruz contacted the FBI's Public Access Line to report concerns about him, according to a statement released by the FBI Friday. "The caller provided information about Cruz’s gun ownership, desire to kill people, erratic behavior, and disturbing social media posts, as well as the potential of him conducting a school shooting," the FBI statement said. According to the FBI, the information should have been assessed as "a potential threat to life" and should have been forwarded to the FBI Miami field office where it would have been investigated, but those protocols weren't followed. "We are still investigating the facts. I am committed to getting to the bottom of what happened in this particular matter, as well as reviewing our processes for responding to information that we receive from the public. It’s up to all Americans to be vigilant, and when members of the public contact us with concerns, we must act properly and quickly," FBI Director Christopher Wray said in the statement. "We have spoken with victims and families, and deeply regret the additional pain this causes all those affected by this horrific tragedy. All of the men and women of the FBI are dedicated to keeping the American people safe, and are relentlessly committed to improving all that we do and how we do it." Florida Gov. Rick Scott called for Wray to resign Friday over the FBI's inaction. "Seventeen innocent people are dead and acknowledging a mistake isn’t going to cut it. 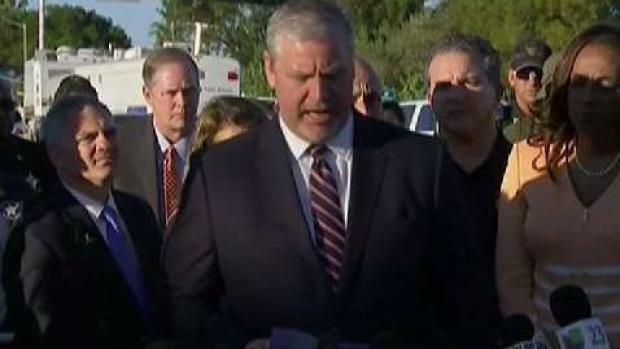 An apology will never bring these 17 Floridians back to life or comfort the families who are in pain," Scott said in a statement. Attorney General Jeff Sessions said he has ordered Deputy Attorney General Rod Rosenstein to conduct a review of the Department of Justice and FBI's processes used to respond to potential violence. "This includes more than just an error review but also a review of how we respond. This will include possible consultation with family members, mental health officials, school officials, and local law enforcement," Sessions said. Florida Sen. Marco Rubio said it was "inexcusable" that the FBI failed to act. Rubio said in a statement: "Lawmakers and law enforcement personnel constantly remind the public that 'if you see something, say something.' In this tragic case, people close to the shooter said something, and our system utterly failed the families of seventeen innocent souls." In a press conference on Thursday, an FBI official discusses the YouTube threat possibly linked the shooting at Stoneman Douglas High School and suspect Nikolas Cruz. At a news conference Friday, Robert Lasky, special agent in charge of the FBI's Miami Division, said they're still investigating. "On behalf of myself and over one thousand employees of the Miami field office, we truly regret any additional pain that this has caused," Lasky said. "The men and women who work for the miami field office are part of this community, we walk the same streets our children attend the same schools, to include Stoneman Douglas." At the same news conference, Broward Sheriff Scott Israel said the department had received about 20 "calls for service" about Cruz over the past few years. Isreal didn't go into the specifics of the calls but said they are being investigated. "Everyone one of these calls for service will be looked at and scrutinized," Israel said. "If we find out, like in any investigation, that one of our deputies or calltakers could have done something better or was remiss, I'll handle it accordingly." On Thursday, President Donald Trump urged Americans to report suspicious activity "again and again!" 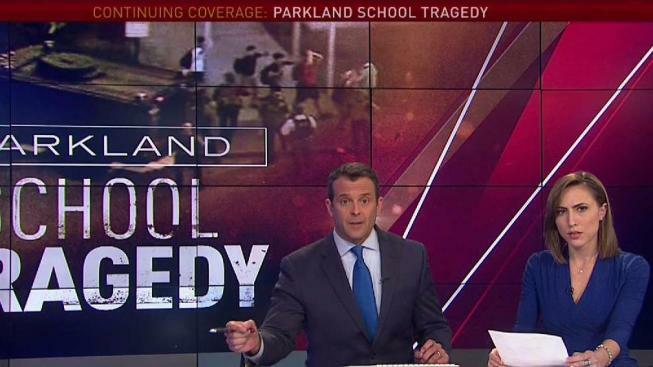 "So many signs that the Florida shooter was mentally disturbed, even expelled from school for bad and erratic behavior. Neighbors and classmates knew he was a big problem. Must always report such instances to authorities, again and again!" he tweeted. The FBI had already been under intense scrutiny and faced unprecedented attack from Trump and some congressional Republicans who have seized on what they say are signs of anti-Trump bias, particularly as it relates to special counsel Robert Mueller's Russia probe. The news of the phoned-in tip comes after it was learned that last fall, a Mississippi bail bondsman and video blogger noticed a comment on one of his YouTube videos that said, "I'm going to be a professional school shooter." He immediately reported it to YouTube and the FBI and the next day two agents came to his office to take a printout of the comment and ask him whether he knew anything about the person who posted it. Although the commenter's username was "Nikolas Cruz" — the same name as the 19-year-old man who authorities say killed 17 people at his former high school on Wednesday — the FBI couldn't identify the poster, Lasky said Thursday. Cruz allegedly walked into his former high school in Florida with an AR-15 rifle on Wednesday and opened fire, shooting at students and teachers in hallways and on school grounds. At Friday's news conference, Israel said despite earlier reports, the suspect never had a gas mask or smoke grenades but did have a facemask with eye slits. Isreal said seven people still remained hospitalized. "They owe us some more detail on what they did," retired FBI assistant director Ron Hosko said.